A skier descends the Treble Cone commercial field near Lake Wānaka, Otago. 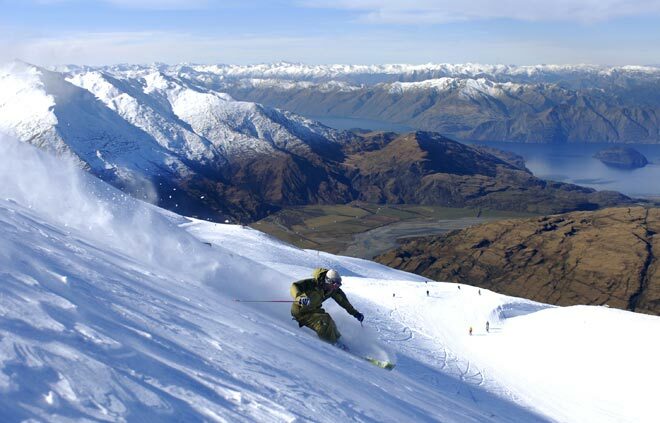 Unlike ski fields in Europe and North America, those in New Zealand are above the treeline. Some, like this one, have a backdrop of great beauty.